I love indulging in a big glass of International Delight Iced Coffee during the afternoon. I also love having dessert every night! 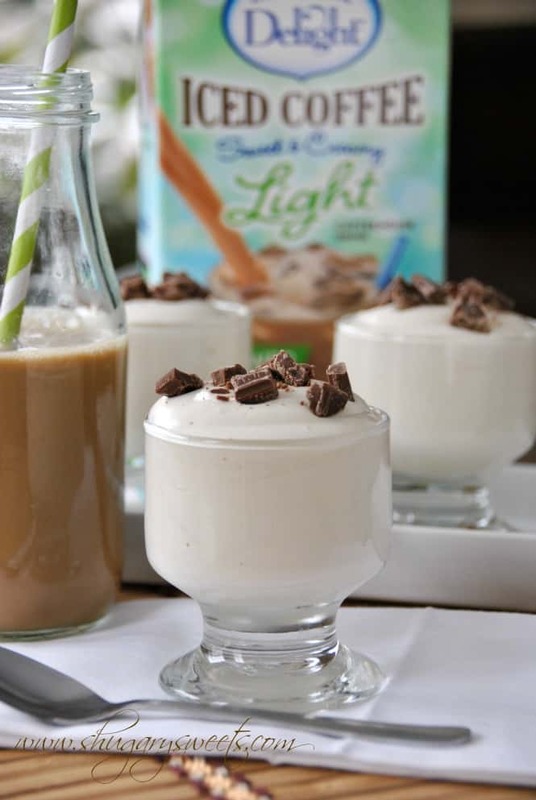 Why not combine the two and create a delicious, SKINNY treat which is reduced in calories but not in taste? You may have heard of International Delight? And you may think, “oh they make great coffee creamers.” SO TRUE. But did you know they also make Iced Coffee? In a carton, like orange juice, you shake and pour? No brewing. No mixing. Shake and Pour. I tried a carton of International Delight last December and fell in love. I had to keep it in the back of the fridge so my teens would keep their paws off of it! I’m not good at sharing. This iced coffee saves me from spending money on those big box Coffee shop drinks! I’m all about saving money too! When I heard they have a LIGHT version of their iced coffee I had to buy it and see how it compares. At only 100 calories a glass this drink is fantastic. I don’t even notice the flavor being compromised. My Walmart was sold out of the Mocha version (bummer! ), but the Vanilla is really wonderful. I don’t know about you, but I love to indulge in dessert. I need that “sweet” after eating dinner. It doesn’t have to be a big slice of chocolate cake (although that sounds delicious), just a little nibble of something. These pudding cups are perfect. I know you’re going to enjoy them too! 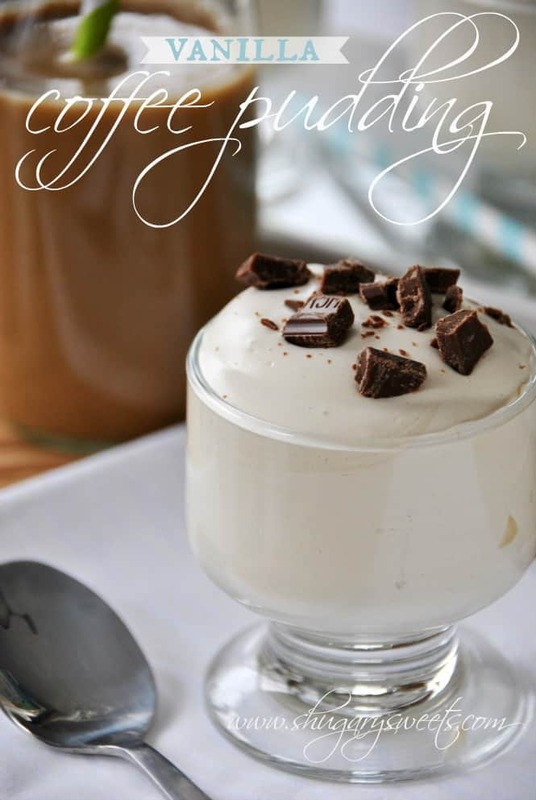 I used sugar free vanilla pudding, skim milk, one cup of International Delight Iced coffee and light Cool Whip. I’m not one to count calories or figure points…but surely these must be low! I was able to make up about 16 little dishes of this pudding! And, I even shared them with my kiddos! 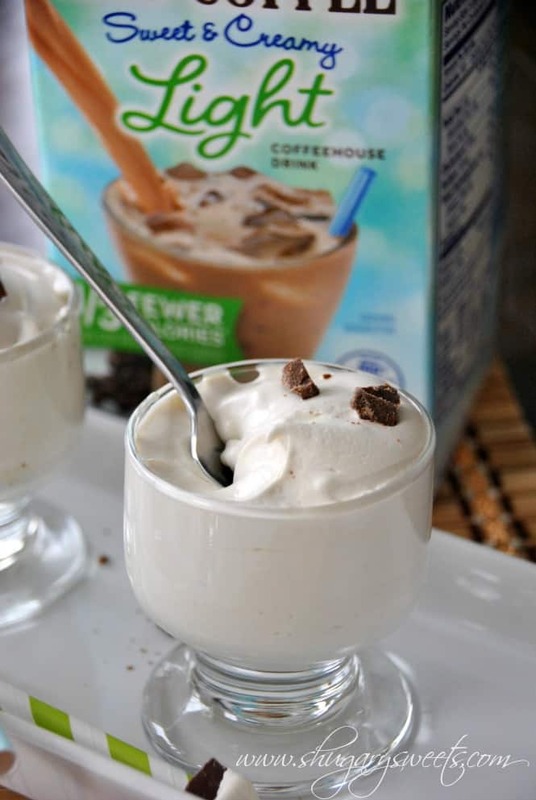 Want to try International Delight Iced Coffee for yourself? Grab a Coupon! **I am a member of the Collective Bias® Social Fabric® Community. This shop has been compensated as part of a social shopper insights study for Collective Bias® and WhiteWave #CBias #SocialFabric . All opinions are 100% my own! Thanks Jess, it was definitely QUITE delicious!! I agree with your dad!!! You need to try this! 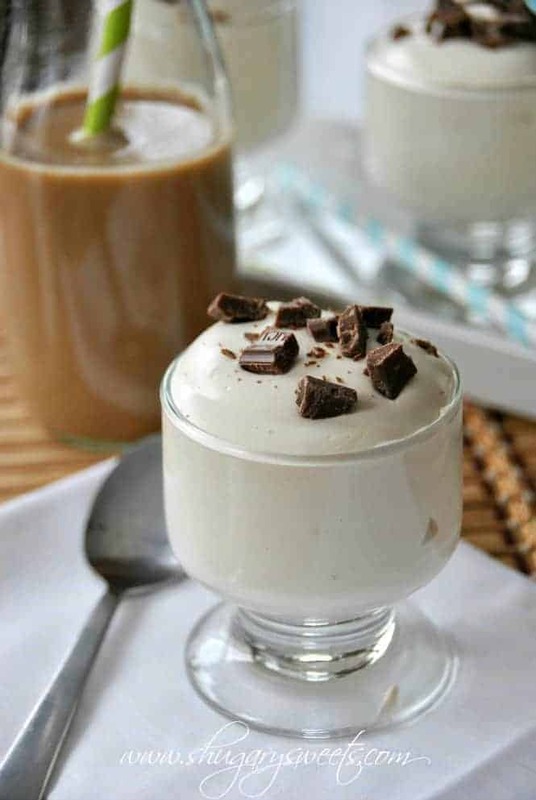 Iced coffee + pudding? Genius idea!!! There is nothing wrong with shortcuts. Especially delicious shortcuts! 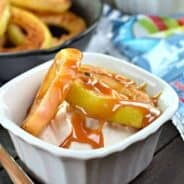 I love this recipe Aimee! And my Walmart had the Mocha (yay!) It’s SOOOOO good, like chocolate milk! I’ve had the regular Mocha, just not the light version. I imagine it’s quite yummy! Hi Aimee! I just wanted to stop by and tell you that I have nominated your blog for the Leibster Blog Award! You can check it out by going to http://florassippigirl.blogspot.com/2013/02/liebster-award.html – I have been following your blog for a while now and really like it. I hope you drop by sometime. Have a great day! I drink vanilla-flavored coffee or iced coffee, every.single.day. Yes, every day. I love my vanilla creamer! Ive never tried the premade ice coffee; I just doctor mine up. 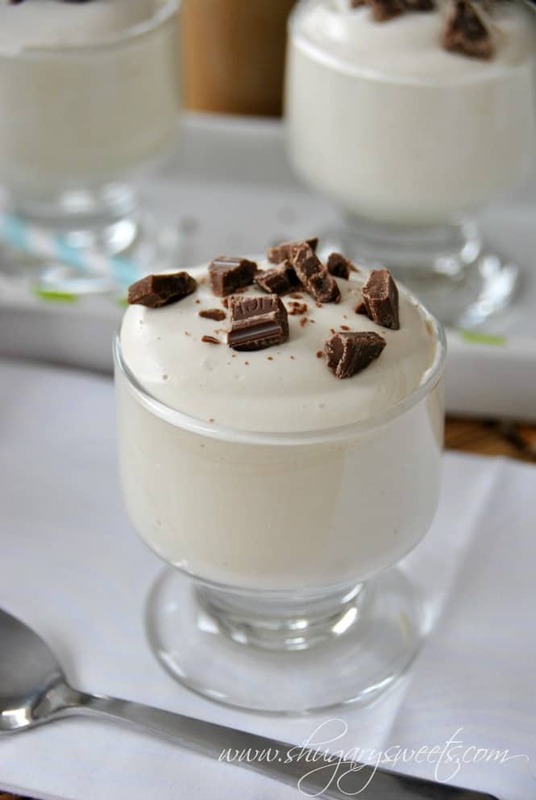 But im loving this pudding idea! I am not one to judge a coffee addiction. I happen to love the ritual of drinking coffee as much as the taste!!! Yummy! I’ve walked by those cartons countless times and never tried them! Now I have a reason too! You and me both Leslie!! I love this! 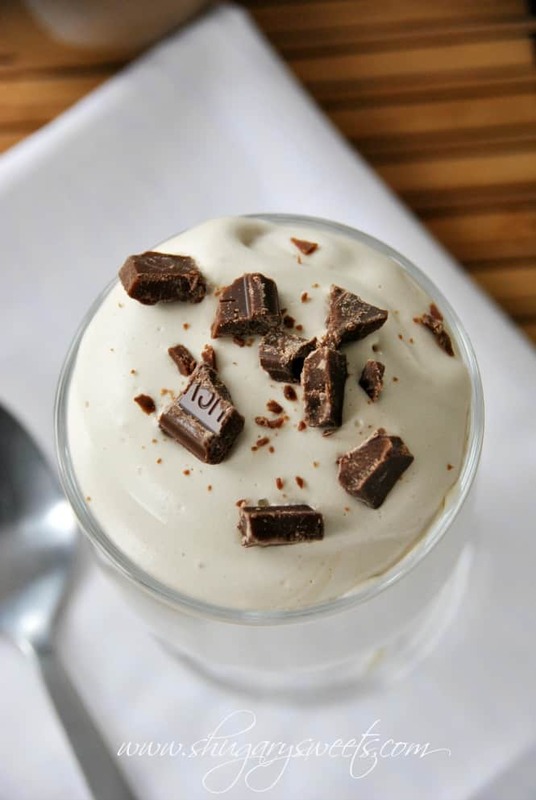 Perfect for when I get that sweet tooth craving! This looks amazing. I’ve been eyeing the ice coffee at Meijer, but thought it was silly to buy rather than make myself… perfect excuse to pick it up! It is silly, I agree, but sometimes convenience wins. Just like buying a boxed cake mix or brownie mix! So worth it! I would agree that the original is sweeter than the light version. But the light version is still quite sweet. I prefer mine over a tall glass of ice. I let it sit for a few minutes, I think it helps water it down slightly and cuts out some of the sweetness. ENJOY. Regina, I am right there with you! Hot or cold, I just love my coffee! All I saw was coffee… <3 This looks so good! Oh how I love iced coffee! This could end up being my Valentine’s Day dessert. And you won’t feel guilty eating it either!! Oh my gosh this looks absolutely perfect!! You had me at coffee, but the fact that it’s light too? Done and done! I made this last night for a special Valentine’s dinner for my family because I love the International Delights Mocha Iced Coffee. 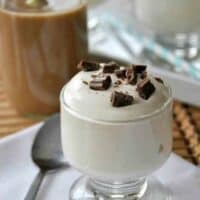 I thought that this recipe sounded really good ,but we agreed that it was like eating plain Cool Whip…didn’t catch the Mocha taste that we were looking for. Although, we also made the Cherry Puppy Chow and that was delish. Love your blog! 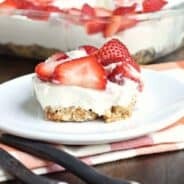 I just made this recipe and I’m wondering if the proportions may be off. My package of pudding was 3.4 oz and it was the small box so I’m not sure if it is possible to get a 1 oz. package. Also, I was adding the cool whip and after I added about half of the 16 oz I realized that if I added all of it, it was basically just going to be cool whip like the post above said. Maybe you meant a smaller container of cool whip? I still made it just with different proportions and I think it will be delicious :). Thanks for the post! 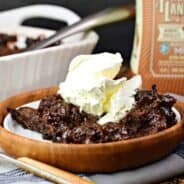 First I just have to say, your whole website literally makes my mouth water…pretty sure I just gained ten pounds looking at it…but oh well 🙂 These recipes are amazing! 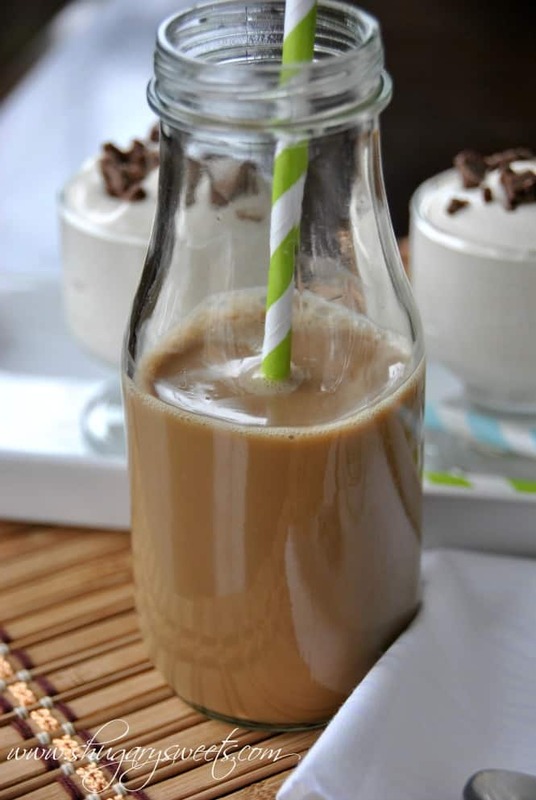 This one I love because it’s light and coffee flavored and really easy to make. Thanks so much! Thank Amy! This is one we have made several times now, it’s so light and delicious! ENJOY! Just wondering about the 1oz of pudding? ?